IOPE is a high-end brand in Korea famous for their cushion foundation. Its the brand's best-seller. I haven't read about their skincare products but I was curious because it seemed good. As I'm on a self-imposed beauty no-buy, I've been going through my stash of products a lot slower than I used to. Excited as I was 18 months ago to try out the IOPE products I purchased, I had to restrain myself. It's only recently that I was able to get the IOPE set out since I ran out of other products. 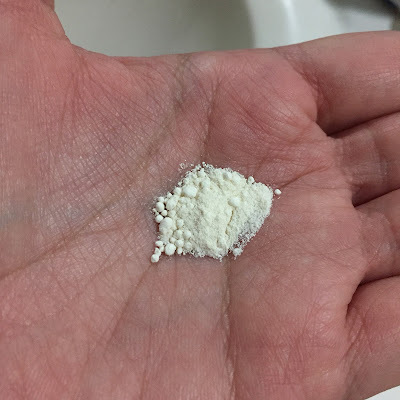 The Enzyme Powder is the first one up for review. If you're familiar with Dermalogica's Daily Microfoliant, this is a similar product. Similar but not identical. Similar in that it contains rice powder (enzyme) and in the way it is applied to the skin. This product dispenses as a powder. The opening in the bottle was quite wide and I was afraid of taking too much but somehow, that never happens. All is good! The instructions say it should be a quarter-sized amount but I use less, like nickel-sized to be exact. Then I add three drops of water to make it into a watery paste. It doesn't look like much but when you start to wash your face with this, it lathers. And you only need a little to get your entire face clean. Is it a cleanser or exfoliant? The answer is both. I use this after removing my makeup with cleansing oil. This is so effective in removing the dirt in my skin - it feels really clean but not squeaky dry. You know what I mean? Its a tad gentler than Dermalogica's version and it makes my skin a bit smoother too. The only thing I am not a fan of is the fragrance. It has an aquatic and pine-y scent. It's not a deal breaker though, because its not cloying. The verdict: this is my favorite exfoliant to date. I love how my skin feels after & it works well with the other products in the IOPE skincare range. I purchased this at Amore, a beauty store inside the building of this huge Korean grocery in TX. They have other Amorepacific brands in there like Sulwhasoo & Laniege. Good stuff. 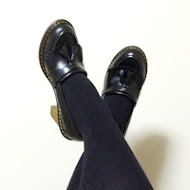 A question for you ladies (and gents) who are on beauty no-buys... How do you cope? My heart breaks when I see something beautiful that I can't buy. But I've been good at keeping myself away from temptation! And fellow beauty bloggers, any suggestions on how to keep my blog alive inspite of this no-buy? I'm terribly shy about showing my face. I should be on a no-buy. I have washing grains for Tatcha, and though I like them, I must admit that I don't reach for them nearly as much as my premixed cleansers. But I agree they are a combo cleanser exfoliant. That looks like a cool product! I've never seen this brand but this looks really interesting. What a cool product, i may have to swing by my local Amore shop and check it out. We have some really good Korean shops in the Dallas area for beauty products. I try to stay away so I don't buy too much. LOL! That's an interesting product. I've never tried anything like it. I have a similar product to this made by Oz Naturals and I really like it. This is a product I would love! I prefer cleansers and exfoliants in one, but find most are too abrasive for my skin! As for the no buy, I went on one for 14 months a few years ago and the first 3 months were the roughest. After that it got easier to pass through areas with beauty products and eventually it didn't phase me much and I got in the mind set of already having something similar so I didn't need it anyway. I have never heard of a product like this!! It sounds super cool - I think my skin would love it. I have the Biore version of this and enjoy it. I love how innovative Korean skincare is - reams ahead of mainstream brands. 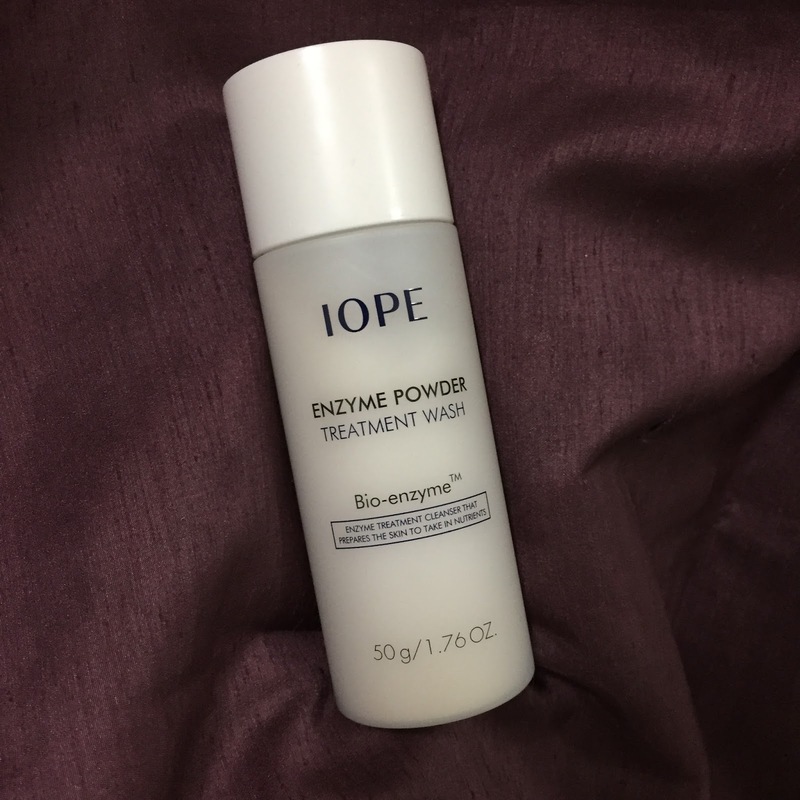 I've tried similar powder enzyme cleansers from other Korean brands, but not Iope. I am so in love with Korean skin care stuff. I think Enzyme Powders are so good for switching up your skin care, especially during winter. This one sounds like a winner for sure. This product looks really interesting!! I've been on a strict no-buy since the beginning of the year, only buying things I run out of. It's been tough, but I get a satisfaction now out of shopping my stash and actually using things up. I need to be on a no-buy!!!!!!!!! This sounds like a perfect fit for me– I love powder cleanser/exfoliants. SO far my favorites are from TATCHA, but this definitely sounds well worth trying. This looks intriguing but I'm concerned with the scent...not a fan of pine anything!!!! Does the scent linger? Now this looks pretty awesome! Ooh, I don't know this brand but I am very interested in trying this! I love powdered exfoliants! I'll have to try this brand out next.